The Small Business Administration (SBA) issued a Direct Final Rule on March 26, 2018 that appears to address a specific holding of SBA’s Office of Hearings and Appeals (OHA) related to small business recertification rules. This rule went into effect on May 25, 2018. In the recently issued Analytic Strategies, Inc., SBA No. VET-268, decision, OHA held that a service-disabled veteran-owned small business concern (SDVO SBC) that recertifies its status pursuant to an acquisition or merger remains eligible for set-aside task orders under an indefinite delivery, indefinite quantity contract (IDIQ), unless the contracting officer specifically requires recertification in connection with a specific task order. This holding affirmed the widely understood interpretation of the regulations. SBA opposed this interpretation of the rule in Analytic Strategies. For more information on this case, see an earlier blog post on Analytic Strategies. In March 2018, SBA announced what it terms as a “technical correction” under a Direct Final Rule that may be an attempt to cast doubt on the Analytic Strategies decision. 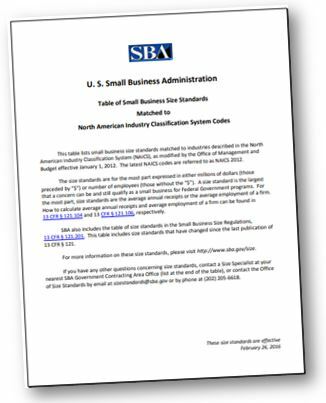 This new rule, however, may prove too much as it would apply to many of the small business programs administered by SBA and not just SDVO SBCs. 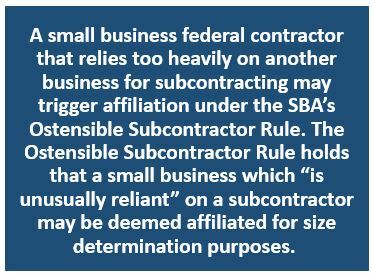 On the other hand, if SBA’s goal was to make contractors that have recertified their status ineligible for future set aside task orders, it is not clear this rule does it. An offeror with a “relatively weak proposal” can nonetheless file a size protest challenging the small business eligibility of the prospective awardee, provided that the protester was not found technically unacceptable or otherwise incapable of being selected for award. In a recent size appeal decision, the SBA Office of Hearings and Appeals held that the mere fact that the protester was evaluated as “less than satisfactory” on four out of five non-price factors did not justify dismissing the protester’s size protest for lack of standing. OHA’s decision in Size Appeal of TMC Global Professional Services, SBA No. SIZ-5792 (2016) involved a DOE NNSA solicitation for the Design, Integration, Construction, Communication, and Engineering 2 (DICCE2) procurement in support of DOE’s nuclear smuggling detection and deterrence efforts. 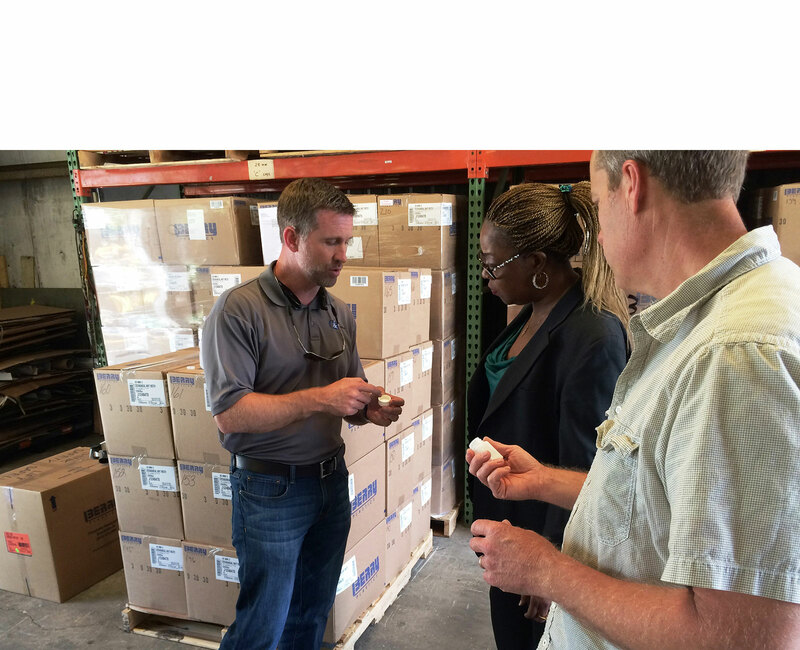 The solicitation was issued as a small business set-aside under NAICS code 237990 (Other Heavy and Civil Engineering Construction), with a corresponding $36.5 million size standard. The prime contractor’s management of a contract wasn’t enough to avoid ostensible subcontractor affiliation where the subcontractor would provide the labor, equipment, and facilities for performing the work. In a recent size appeal decision, the SBA Office of Hearings and Appeals confirmed that, where the subcontractor will provide the goods or services that the agency “actually seeks to acquire,” the subcontractor may be deemed an ostensible subcontractor under the SBA’s affiliation rules. OHA’s decision in Size Appeal of Hamilton Alliance, Inc., SBA No. 5698 (2015) involved a NAVFAC solicitation seeking a contractor to provide refuse collection and processing, as well as the collection, processing and sale of recyclable waste. Under the solicitation’s Performance Work Statement, the contractor was to be responsible for providing all labor, supplies, materials, equipment, transportation, facilities, supervision and management necessary to collect and process refuse and recyclable waste. The solicitation was a SDVOSB set-aside under NAICS code 562119 (Other Waste Collection), with a corresponding $38.5 million size standard. Answering certain question allegedly required for the government’s review of your claim. Are you required to cooperate? For claims over $100,000, the CDA requires a contracting officer, within 60 calendar days, to either issue a final decision or notify the contractor of the date by which a final decision will be issued. 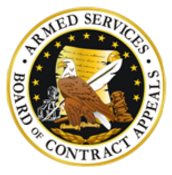 The Armed Services Board of Contract Appeals (ASBCA) recently held that a conditional final decision date, as described above, does not comply with this CDA requirement. Thus, in such instances, a contractor may file an Appeal on a deemed denial basis without waiting for a final decision. Under the Small Business Administration’s affiliation rules, a minority owner may “control” a company where the company’s governing documents impose supermajority voting requirements that require the minority owner’s consent for the company to make ordinary business decisions. In a recent size appeal decision, the SBA Office of Hearings and Appeals (OHA) confirmed that supermajority voting requirements may establish control (and affiliation), even where the minority owner does not actually exercise its control. OHA’s decision in Size Appeal of Potomac River Group, LLC, SBA No. SIZ-5689 (2015) involved a DoD solicitation for assistance in performing security interviews and polygraph examinations. The solicitation was issued as a small business set-aide under NAICS code 561611 (Investigation Services). After evaluating competitive proposals, the agency identified Potomac River Group, LLC as the apparent successful offeror. An unsuccessful competitor subsequently filed a size protest challenging PRG’s small business eligibility.